The lovely Lauren McGrath has turned her migraine journey into her Master's thesis. Read her incredible story, how her own battle inspired the project and then, most importantly, get involved! Lauren's work, I believe, could have a real impact on how we manage and treat migraines in the future and is an area that is massively under-funded and under-researched. For other migraine sufferers out there, Lauren's story provides bundles of inspiration and demonstrates that migraines don't always win the day. Several years later, after I had finally established a migraine routine and found some medication that worked, I developed a new symptom: I couldn’t walk a straight line. I was showing up late to classes at my university, exhausted, slurring and swaying. I was normally an attentive over-achiever, so the change in the way I carried myself baffled everyone from my professors to my friends and family. After dozens of tests and doctor’s visits (many of whom told me my problems were “in my head”), an MRI showed the cause: there was a large tumor on my brain. I felt vindicated that I wasn’t insane (Well, yeah. My problem was in my head! ), irritated that it took so long to figure out, and totally, incredibly frightened about the neurosurgery I was going to need. After further testing, my doctor informed me it was a poorly-placed arachnoid cyst, tangled in my cranial nerves. This was good news, because it wasn’t likely to be malignant. But I still had to admit myself to Johns Hopkins Hospital one summer in 2008, and undergo 9 hours of neurosurgery to have it removed so that I could walk, think, and see normally again without permanent damage. While most of my symptoms improved or disappeared entirely, the surgery increased the frequency and intensity of my migraines. This meant that I was essentially starting over – I had to re-learn my new triggers, find different medications, and see a different doctor. I embarked on a quest to find the best management plan for my lifestyle and pain level. It was surprisingly difficult! Neurologists had their quick, cookie-cutter fixes, the internet was full of contradictory information, and nothing seemed to be a good fit for me or my busy work schedule. 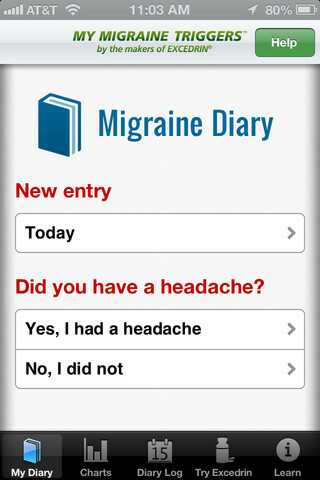 That was when I started looking into applications and websites with guided tools to self-manage migraines. Eventually, I started using an app that worked with my routine and capitalized on my smartphone addiction. 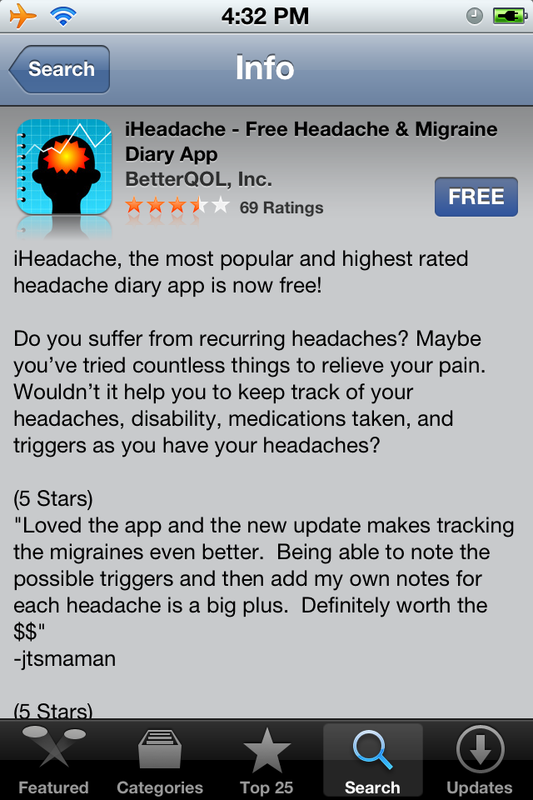 I have a copy of this app on every device I own, from my laptop, to my smartphone, to my tablet. It goes where I go, and has made the process of managing my “new” migraines more manageable – so manageable, in fact, that I was able to attend graduate school this year at the London School of Economics. As a postgraduate student in media and communications, I was supposed to devise an original dissertation project to complete this summer. I was at a total loss – I’ve never written a dissertation, much less at a masters level…so I procrastinated as long as humanly possible. One night, a few days before my topic was due, I felt the stabbing pain of a new migraine. I started entering the specifics on my phone – the pain level, what I took, whether it worked, how long it lasted – and I realized this was one of the ways media intersected with my own life in an important way. I would have felt so helpless in that moment without my migraine app, because there was nothing I could do but take medication and wait. Writing it down and tracking it helped me feel like I was doing something positive, and reminded me (via all of my other entries) that my migraine would end eventually. Once I decided this would make for an interesting dissertation topic, I started doing research and found that there are a wide variety of new media tools for migraineurs. What do I mean by “new media”? New media is generally thought of as anything that has a networked component that combines multiple forms of media (i.e., it’s “convergent”) and can be accessed portably. This includes websites with diaries and pain maps, applications for tablets and smartphones, as well as blog and forum communities. While it’s great that so many tools exist, no real research is being done on how they fit into the daily unpredictable lives of actual migraine sufferers. I decided it was important for me to interview some of the people who’ve used or tried using these tools, from the perspective of a media researcher. Many of the first media researchers looked at how media fit into daily life – often referred to as the “habituation” or “domestication” of media. Researchers like Silverstone and Haddon examined how the “new” media of their day – radio and television – became an important part of people’s daily routines. I am applying their domestication framework to understand how new media tools for migraine self-management are incorporated into everyday life. Thus far, many of the individuals I’ve interviewed are in the same place I once was. They’re frustrated with their doctors, their pain level, and the impact it has on their ability to take part in other activities. Many are interacting with new media tools in a way that meets daily emotional needs that are not being addressed by their doctors or other “expert” sources. 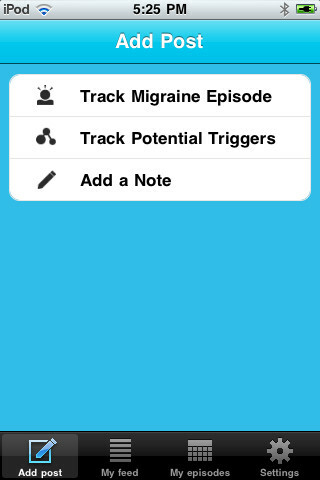 The instant accessibility of a friendly voice on a blog or a forum, or one’s own medical records on a migraine tracker tool allows people to quell the anxiety, depression, and fear that are documented to accompany migraines. So what’s my conclusion from the research I’ve done, and my personal experience? Well, I’m still in the process of writing my dissertation, so my conclusion is a work in progress. But the one thing I can say with certainty at this point is that it’s important for the migraine community to continue to make their voices heard. Everyone has different needs, and everyone has to self-manage their illness on some level. For some, this means an interest in the continued development blogs and networks like Migraine Monologues. For others, it means an interest in further development of medical tracking websites and apps that can help them feel in control. I would encourage anyone with migraines to speak loudly and often about your needs and how they can be better met with the tools at our disposal in the Internet age. Doctors, public health researchers, and pharmaceutical companies will listen if you voice your opinion, because self-management is becoming especially important in an era of increased population and health care costs. Everyone has a vested interest in improving the lives of migraine sufferers! And last, but not least, participate in my study. I’m collecting interviews online through the 10th of August and your input is valuable! Above all, the most important lesson I’ve learned from my own experiences and my dissertation research: if you have migraines, you are not alone. Try to remember that through the worst of your pain, and to reach out to the community of migraineurs around you. Whether or not you use new media tools to do this, I promise you won’t regret it. 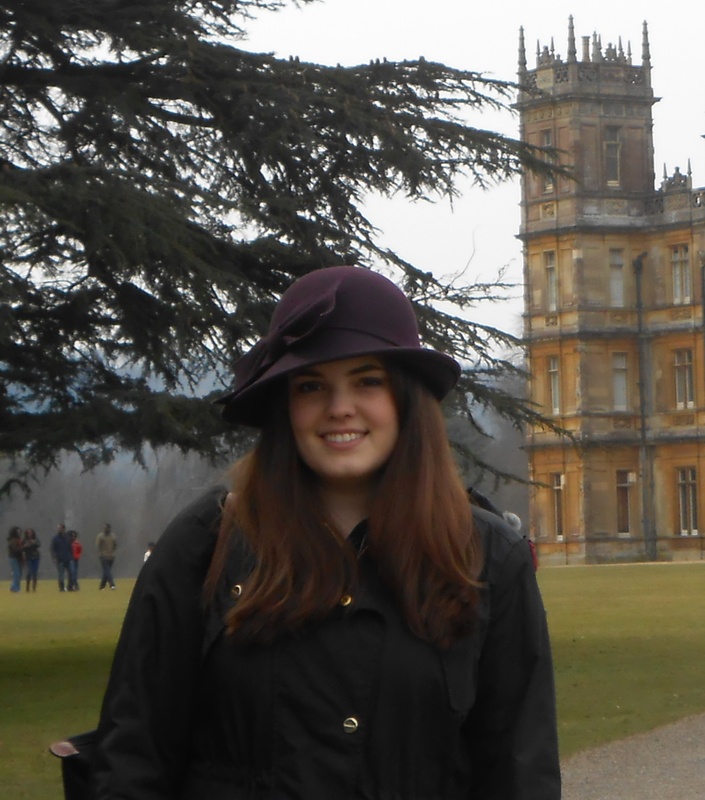 Lauren is a sometime-resident of London, who hails from Washington, DC. When she's not thinking about media, communications, or migraines, she enjoys modern dance, yoga, and any and every kind of theatre/performing arts. She's currently completing her masters at the LSE. Lauren - thank you so much for this incredible post and for the work you are doing! You are one brave lady! You have until 10th of August to get involved. I'll happily fill out the survey. Could you tell me what the app is though that you find so useful? What app do you use Lauren? I've been looking for something nicer than spreadhseets! Hi Both, I'll ask Lauren if she's happy to share the app info....I know she doesn't want to prejudice the results of the survey or make it seem like she's being sponsored as she isn't at all! Migraineur Of The Month: My Mum Mrs July!! !